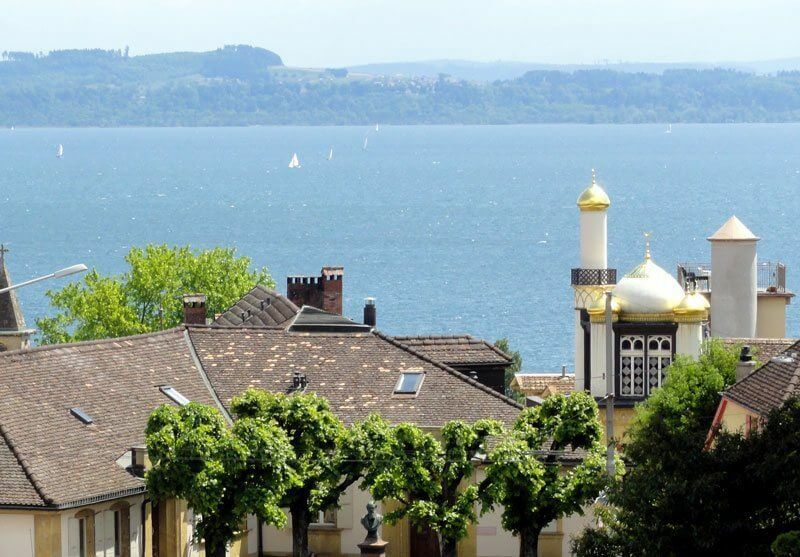 Where in Switzerland can you find minarets with brilliant gold domes and discover their connection to the early years of Swiss chocolate-making? If you guessed Neuchâtel, you are correct! The Swiss chocolate-making pioneer, Philippe Suchard (1797-1884), opened his factory in an empty mill in Neuchâtel-Serrières back in 1826. He also made his home there, overlooking Lake Neuchâtel. Its distinctive architectural features reflect his keen interest in Arab culture. Today, you can take a walking tour (guided or self-guided) through the old Suchard neighborhood in the Serrières Valley. Along the way, you will get to visit the landmarks and factory connected to one of the earliest producers of chocolate in Switzerland, Philippe Suchard. 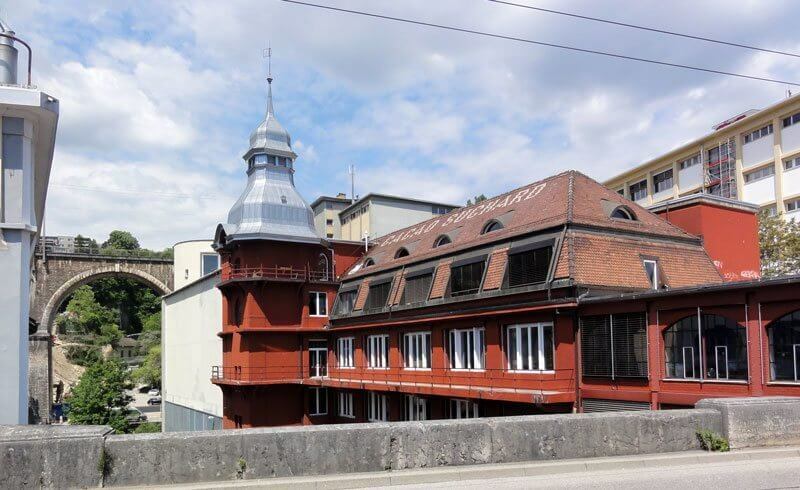 My husband and I took our two boys on the self-guided walking tour recently, and it was a nice way to learn about the industrial heritage of this area and the Suchard legacy that lives on today in Neuchâtel. 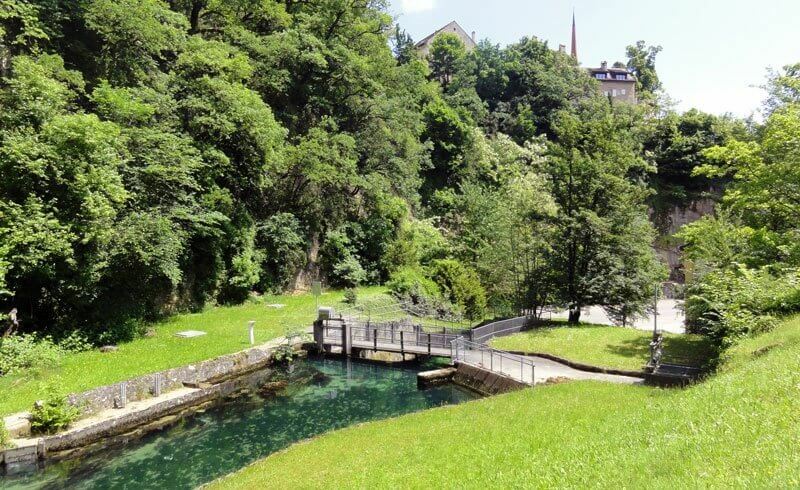 Not only do you explore the built environment on the tour (don't miss the fountain inspired by the Alhambra), but you also walk along the Serrières River, one of the shortest rivers in Switzerland, which served as a source of power for various industries in the valley, including the Suchard chocolate factory. The Suchard factory moved its operations out of the Serrières Valley in the 1990s (it is now part of Mondelez International), but Neuchâtel remains a center for chocolate. The walking tour of the Serrières Valley gives participants an opportunity to learn about the history of this once-bustling area of industrial chocolate-making (and provides an excuse to eat chocolate!). Suchard's legacy is still felt today and celebrated by local chocolatiers in Neuchâtel, carrying on the tradition of fine Swiss chocolate. 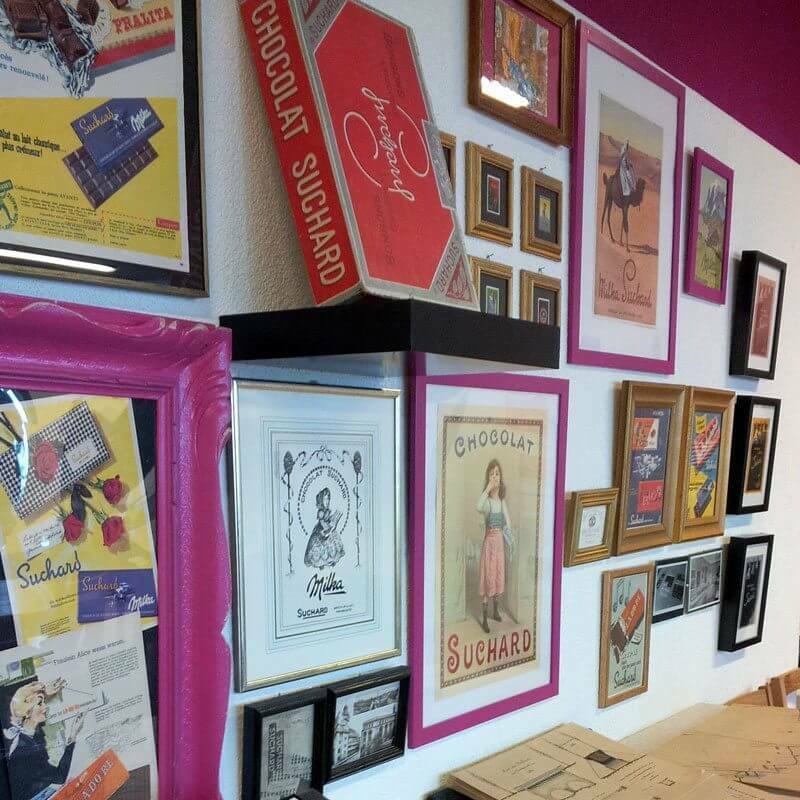 A chocolate workshop celebrating the heritage of Suchard that hosts events and offers classes. It also has a small retail shop with a range of chocolate treats. I attended an atelier here with my kids this spring, and they really enjoyed making Lego-shaped chocolate and eating chocolate fondue! Philippe Suchard opened this chocolate shop in the center of Neuchâtel in 1825, prior to opening his factory. According to its website, this chocolate shop is one the oldest in Switzerland. Today, you can find beautiful chocolates there and the front window is always lined with exceptional pastries and entremets. 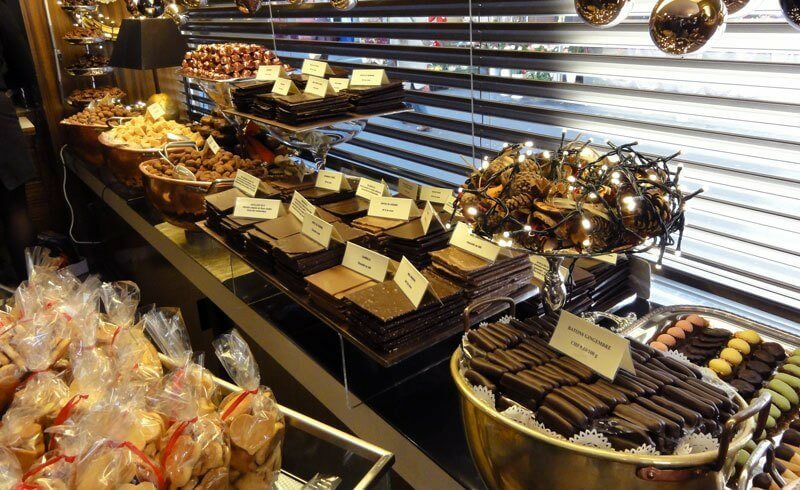 Located very close to Wodey-Suchard, is another lovely chocolate shop that opened in 1919. Walder's specialties include pavé du château and amazingly thin and delicate éclats de chocolat. I also love the pâte de fruit and caramel with fleur de sel.